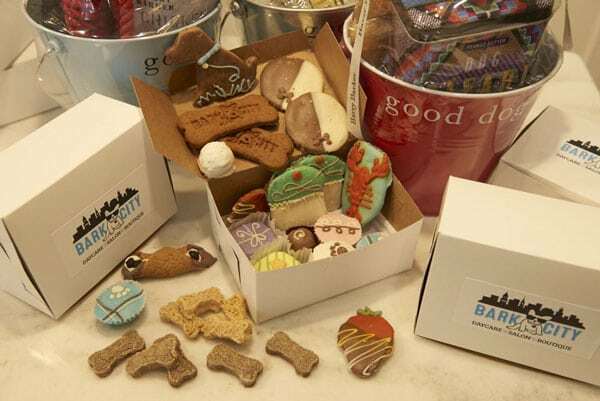 Sometimes, a new toy or a bag of treats is all it takes to brighten up a dog’s day. 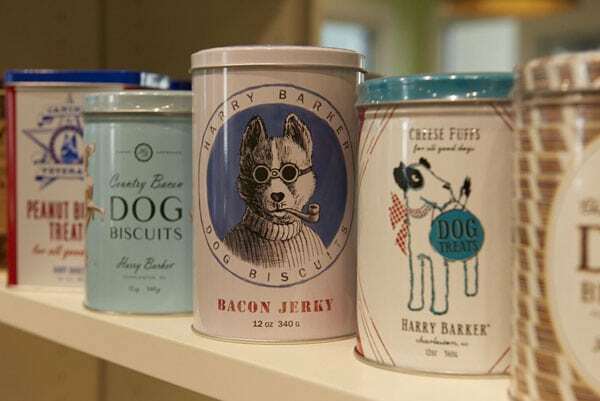 Bark City’s focus on providing the ultimate daycare and grooming services extends to our retail store, where we stock a variety of products to send our four-legged guests home with. 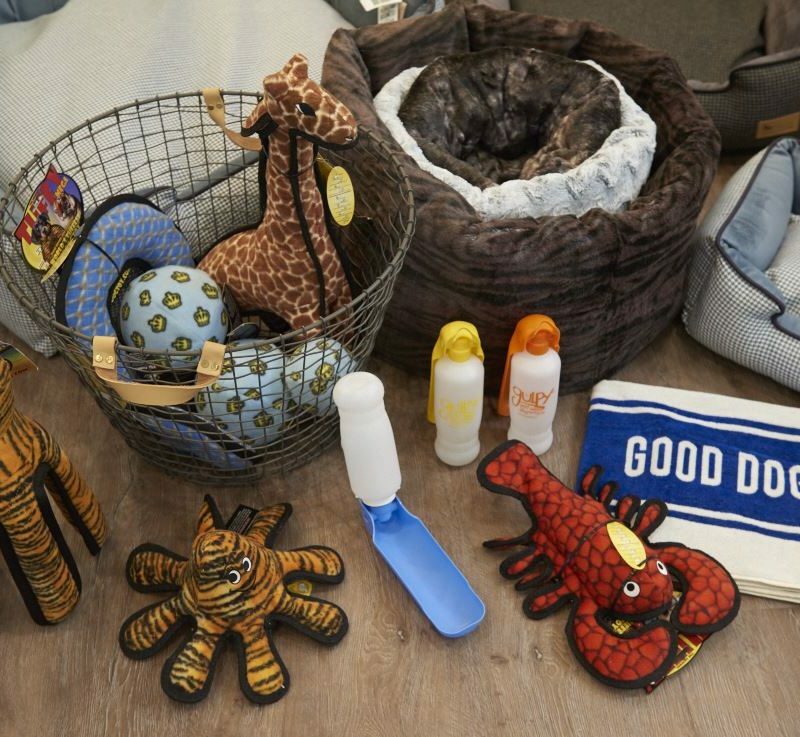 From healthy, all-natural treats to our selection of toys, there’s plenty to choose from that’ll put a smile on your dog’s face. 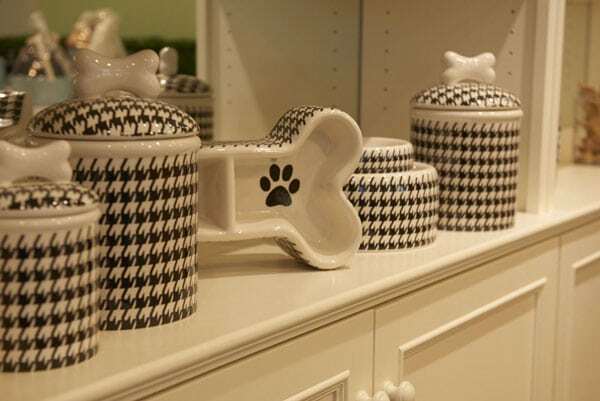 Whether you’re picking up your dog from a long day at Bark City or are simply downtown and feel like browsing, our boutique retail store has everything you need to keep your dog happy and healthy. Stop in today! 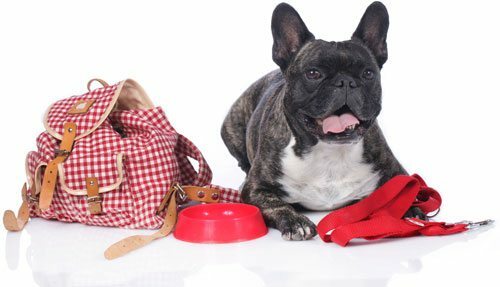 Bark City specializes in offering customized nutrition plans for our guests, based on their breed and play style. 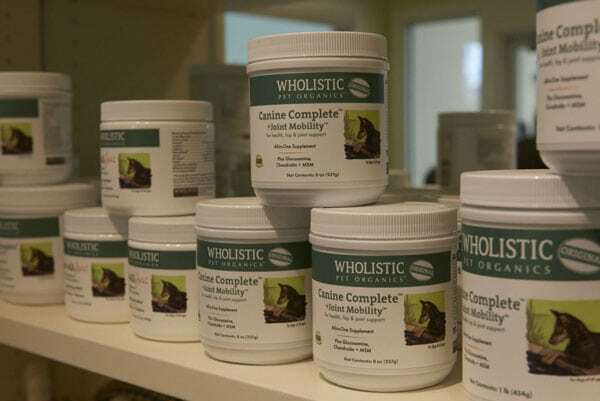 At our boutique, customers aren’t just getting a random bag of dog food—we ask a series of questions and then recommend certain foods that we believe will be a good fit so you don’t have to decide on your own. 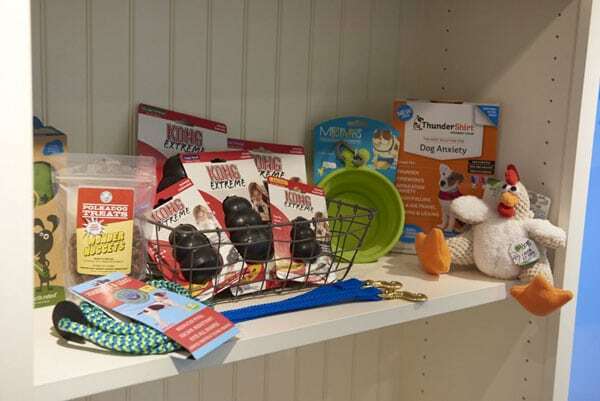 Our selection of dog toys and accessories is like nothing else in downtown Manchester. While we offer a number of traditional dog toys, Bark City specializes in providing durable toys that even the feistiest dogs will have a tough time ripping apart. All toys are tested by the dogs during daycare hours! 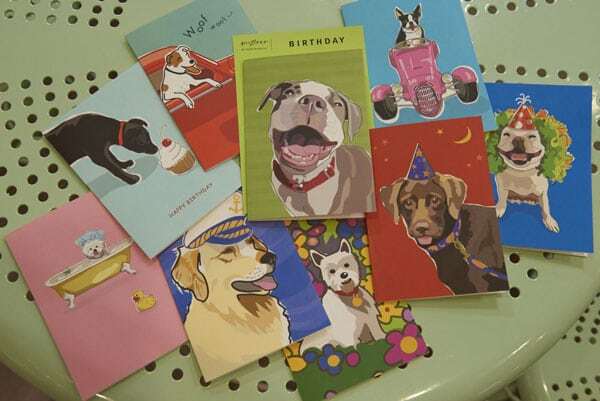 Bark City’s boutique even carries products for our guests’ owners, including books related to dogs, greeting/thank you cards, custom Bark City clothing and more.